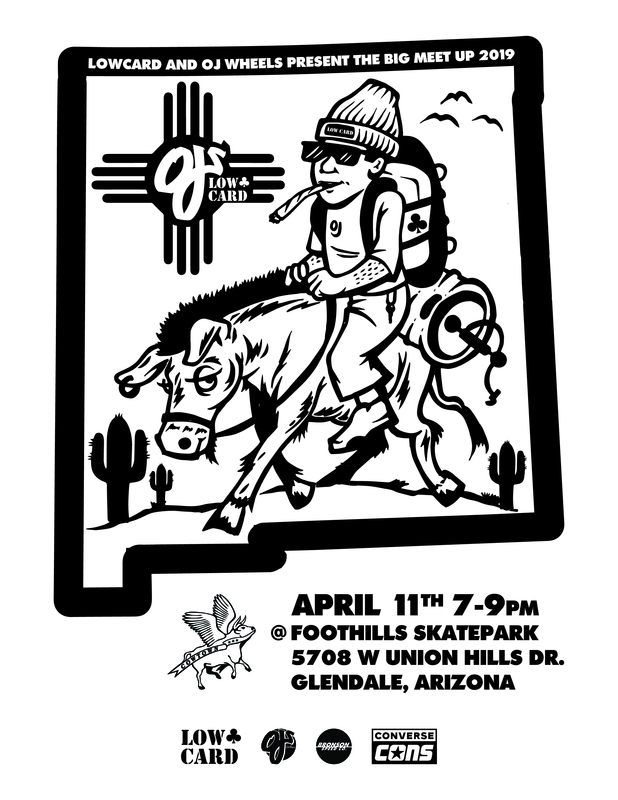 The OJ Wheels crew is making their way to the land of enchantment & making a pit stop on the way at the Foothills (Union Hills) skatepark! Come hang out, skate & barbecue with Jon Dickson, Bobby Long, Andrew Torralvo, Dolan Stearns, Tom Remillard, Erick Winkowski. Also to add some fun, extra ramps will be provided by Josh Hawkins! See you next Thursday the 11th 7-9p.m.